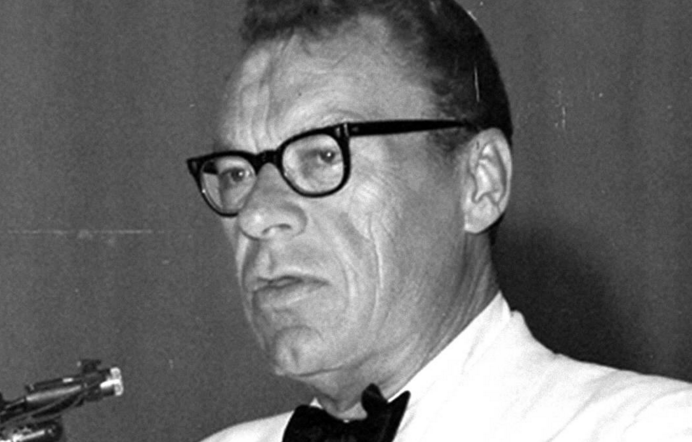 It was very strange that someone mentioned to me this name “Earl Nightingale“. I ignored the message and I didn’t look it up. Few days later, another person gave me a link to this Youtube video. It is a motivational speech and if you haven’t heard it before, you can watch it here. It is a very good speech to motivate people to success, but I will tell you what I think about it. At the beginning, he talked about 100 young men, by the time they are 65. It doesn’t add up 1+4+5+54 = 64. What happened to the other 36 people? He made a calculation mistake; never mind. If success is defined as such, some of the 100 men would have a different goal in life – other than money. Therefore, the 5% success rate is wrong again – another wrong calculation. Everyone knows that success doesn’t mean only money. “Some people are so poor, all they have is money.” Patrick Meagher. Is it because of like Mr. Nightingale said, we haven’t done the following? I am sure if you followed what Mr. Nightingale told you to do, you will eventually achieve some successes in making more money. You might not be rich, but you can have more money and be financially independent. If everyone is following what he said, what will happen? I want you to spend a moment and think about this. The result will still be the same, 95 out of 100 people will still fail. I am going to tell you a strange secret that Mr. Nightingale probably doesn’t know about. You should already know how our society is formed. For most countries, we have one president/prime minister, then hundred of ministers, then thousands of different government officer and then millions of ordinary people. As in a company, we have the owner of the company. Below the owner, then we have a few managers. Then below the managers, we have supervisors and then hundreds of workers. 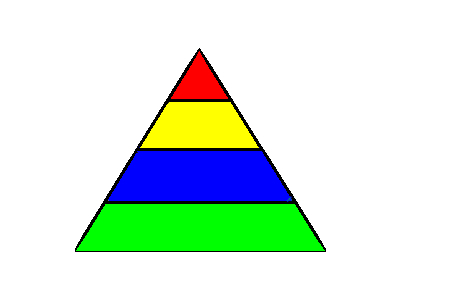 No matter what kind of organization, this is the most common structure – the pyramid. Interestingly, the structure of wealth is the same too. We have a few rich people and huge numbers of poor people. For a company to function properly, this structure will have to be maintained for the company to run properly and be stable. You cannot have a company with a lot of managers and few workers, it will go out of business very quickly. The reason for such a structure is very simple; to maximize profit. The managers are paid a higher salary than the workers, so fewer managers mean more profit. You might think when it comes to money, it is different. There is more money to go around, everyone can be rich. Is it? No, it is not. There is a definite amount of money which people can spend (or earn) in a month. This amount can grow a few percent every year, but it is not indefinite. The rich people will take 40% of all the money and the remaining 60% will go to rest of the people. This is the structure of the economy. Is it possible for everyone to be rich? It is not possible for everyone to be rich. Very simple, when everyone has the same amount of money, then who is rich? It becomes communism, and everyone knows that communism doesn’t work. The reason why it doesn’t work is because of human greed. How about capitalism? Is it a good system? No, it is not. If the guy at the top decides to rip-off his workers and make more money for himself, then many people will suffer. This is why Mr. Nightingale said “54 will be flat broke”; it is due to this reason. They won’t be broke if they are paid reasonable wages. I have heard there are many people who work two jobs just to pay the bills in America. The system of capitalism is the basis of this structure. Unless we change this structure, nothing will ever change. Therefore, Mr. Earl Nightingale’s speech although very motivational; it serve no purpose in improving the lives of millions of Americans. There was a part in his speech that he mentioned about the Bible, “Ask and you should be given.” He is quoting the Bible and teaching people how to make more money. I want to tell him he tarnished the Bible verse. Bible is for teaching people to have compassion and kindness, not to teach people how to make money. Did Jesus ever tell anyone to make more money? I do not disagree with anyone who wants to make more money. It should not be your only goal in life. A more meaningful goal should be to learn to love and have compassion. Imagine what this world would be like if everyone’s goal is to make more money. I have an article The Search For the Meaning of Life. If you have time, I recommend you read it. Now you know, only 5% of all people who want to be rich will be successful. The other 95% will be disappointed. It is not that they don’t wish for it or did not work hard, it is because the system is set up in this way. For some, no matter how hard you try, you will fail. The other reasons are luck and fate. I am going to tell you a couple of stories who people failed before of no luck and destined by fate. This is a true story and it happens to a cousin of mine – I’ll name him John for the sake of this story. John decided at a young age that he wants to be rich; it was because he was born in a very poor family. To make matters worse, his father was a drug addict. His mom brought up five children all by herself working day and night. After John graduated from college, he read lots of books and learned everything about making money. He talked about making money to anybody he met. His wish to become rich was very strong. If it wasn’t fate, he would be a rich man. Before he became rich, he had cancer when he was 35 years of age. It took his life. He left behind a wife and a young daughter. This is a true story as well. Peter’s hotel is going to open in a weeks time. Normally all hotels will be fully booked in this city where his hotel is going to open for business. He expected he would at least filled half of the rooms; he would make a profit without a doubt. He was so sure. Something happened which changes everything. It was September 11, Twin Tower in New York was attacked. No one came to his hotel. As a result, he bankrupted. It was purely unlucky, no one would be able to predict this kind of incident. If you don’t have luck, there is nothing much you can do. Instead of pursuing wealth, there are some other things which worth pursuing. I have another article you might like to read. Meaningful Pursues. This article is not to belittle Mr. Nightingale. I respect him as a great person. I just don’t like to hear that money is the only thing which worth pursuing. “Wish for money, dream about money, talk about money………,” they tell you. I found it disgusting. Your life has no meaning if money is all you desired. Before you go, I wish you good luck with your goal.